Posted November 19, 2018 by The Rapid & filed under Rider Stories. 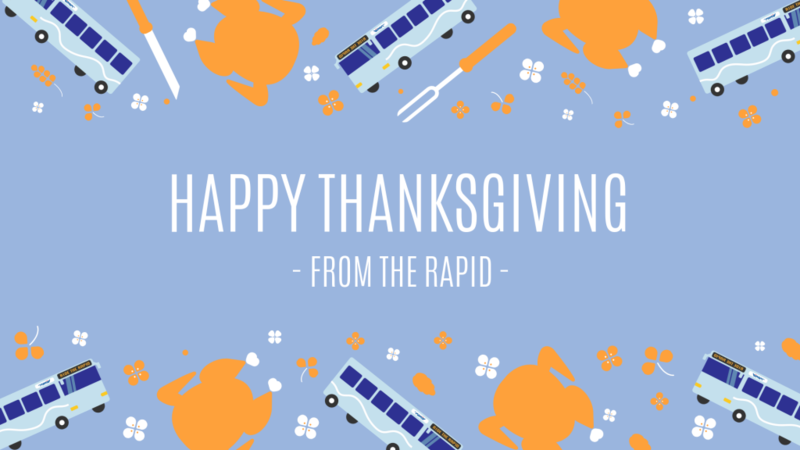 In honor of Thanksgiving, we wanted to know what riders of The Rapid were thankful for this year! As always, we’re grateful to be able to get you where you need to go every day. We hope you have a wonderful Thanksgiving holiday.